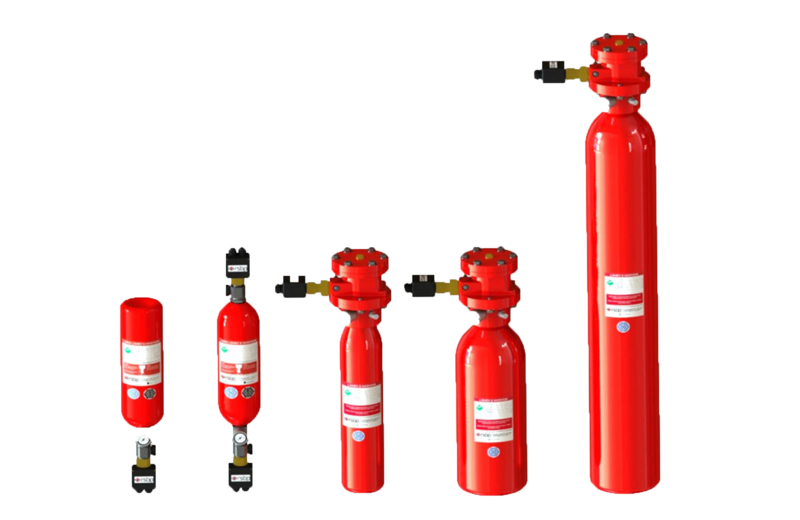 Explosion suppression is a reliable way of mitigating the effects of an explosion in process vessels, pipes and ducts. 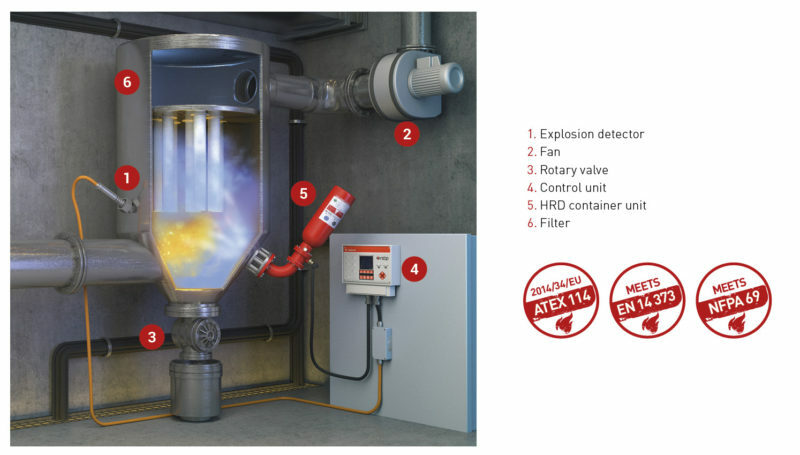 By early detection of the incipient explosion and rapid discharge of dry chemical extinguishing powders, the explosion pressure within the vessel can be greatly reduced. When a sensor detects a pressure increase from a deflagration, either in an associated vessel or connecting ductwork, it analyses the signal, determines if it fits the parameters associated with an explosion, and sends a signal to the system controller. Depending on the system design the unit can wait for a confirming signal, or require three sensors to vote, thus increasing system reliability. The controller provides the system power and control integration functions. On receiving an activation signal, the unit can activate the Dry Chemical Suppressors, integrate process control, and notify operations personnel of the event. The RS232 optional modem interface will provide real time communications with ATEX factory technicians for programming diagnostics. The Control Unit provides the interface between the suppression system and the process controls. It has an automatic battery backed power supply and also monitors the state of each individual component. The system is fully addressable, meaning that the status of every part of the system is fed back to the Control Unit and can be displayed in real time. The Control Unit also has the option for remote access control and setting. A built in modem allows engineers at the factory to “call in” and monitor the system from remote locations. This dramatically reduces the costs of call-outs and service visits.